Released today (2/11/2015) in the US a double CD "Elvis: Ultimate Christmas" Walmart Exclusive. 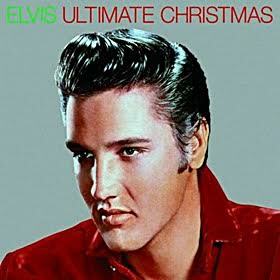 It features 30 tracks on 2CDs and combines the best of Elvis' Christmas songs plus the songs from 'Elvis Christmas Duets'. 1. If Every Day Was Like Christmas, 2. Santa Claus Is Back In Town, 3. White Christmas, 4. Blue Christmas, 5. I'll Be Home For Christmas, 6. Santa Bring My Baby Back (To Me), 7. Here Comes Santa Claus 8. Silver Bells, 9. O Little Town Of Bethlehem, 10. Merry Christmas Baby, 11. The Wonderful World Of Christmas, 12. O Come All Ye Faithful, 13. Holly Leaves And Christmas Trees, 14. On A Snowy Christmas Night, 15. I'll Be Home On Christmas Day. 16. It Won't Seem Like Christmas (Without You). 17. Medley Christmas Message From Elvis/Silent Night, 18. Blue Christmas With Martina McBride, 19. I'll Be Home For Christmas (With Carrie Underwood), 20. Here Comes Santa Claus (With LeAnn Rimes), 21. Santa Claus Is Back In Town With Wyonna Judd, 22. Silent Night With Sara Evans, 23. White Christmas With Amy Grant, 24. Merry Christmas Baby With Gretchen Wilson, 25. O Little Town Of Bethlehem With Karen Fairchild And Kimberly Sclapman, 26. Silver Bells With Anne Murray, 27. O Come All Ye Faithful With Olivia Newton John, 28. The First Noel, 29. If I Get Home On Christmas Day, 30. Winter Wonderland. Picked It Up Today At A Local Walmart. I Found It In The Garden Dept On A Big Display Still Wrapped In Plastic. So I Cut The Plastic And Took One :) For 10 Bucks It's Pretty Nice It's A Gate Fold Like A Double Album With Disc One And Disc Two In Seperate Sides. There Is A Nice Pic Of Elvis On The Inside. As For The Sound... It's Great It Sounds Like They May Have Remixed Disc One. Disc Two Is Just The Duets Cd Released In 2008. I Won't Bother Playing It As I Don't Care For It. Over All Great Buy. I think this is a good sales ploy as the devoted Elvis fans can stick with the originals while the duets may well entice those less committed and who may have their favourite artist featured. A reissue of the 1970 Camden Christmas album (with original front cover artwork and a couple of bonus tracks) would've been a better idea, imo.